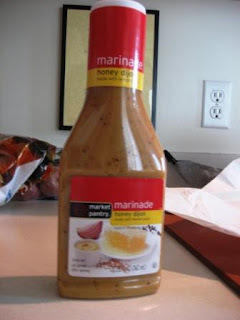 For dinner tonight, we wanted something nice and light. 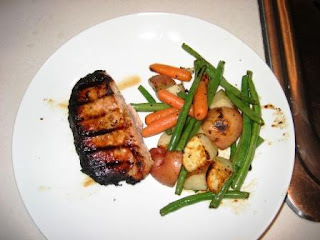 I decided to go with Butterfly pork chops with honey-dijon marinade, roasted green beans, baby carrots and red potatoes. 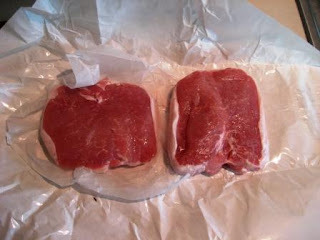 Pour marinade over pork chops in ziploc bag, and let sit in fridge for 30 minutes. 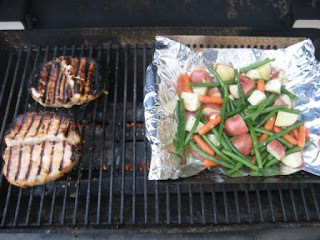 Grill on medium, 8-10 minutes per side. 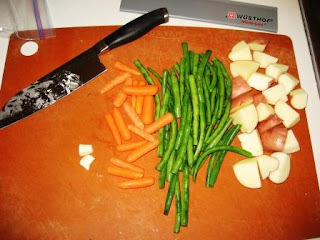 Quarter potatoes and remove stem end from green beans. 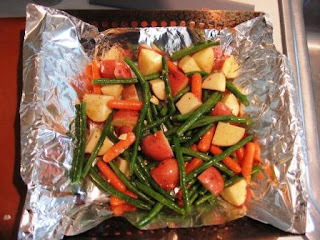 Line grill basket with aluminum foil. 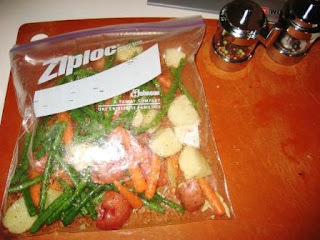 Place potatoes, baby carrots and green beans into ziploc bag. Prepare seasoning for veggies. Mince one garlic clove, mix with three tbsp olive oil, salt and pepper. Toss veggies with seasoning and oil. 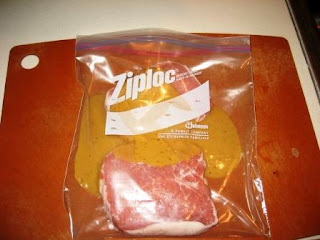 Dump contents of ziploc into basket. 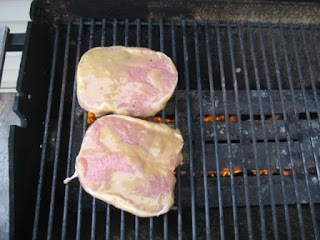 After the first turn of the pork chops, place basket on grill. Turn veggies every 5 minutes until done. And here's the final product. This turned out very, very nicely with PLENTY of leftovers for lunch tomorrow.